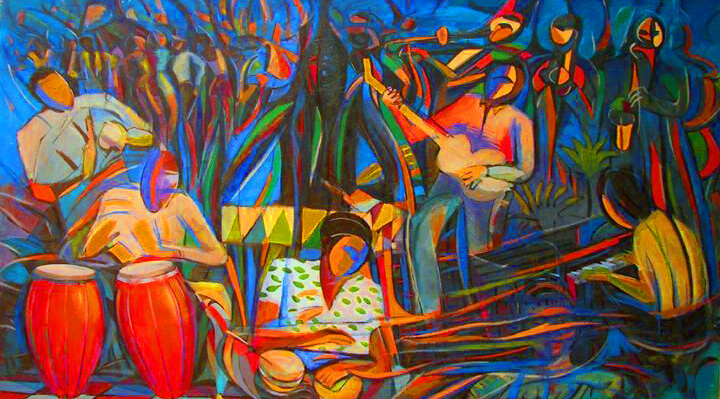 This workshop will focus on the rhythms and melodies of Bossa Nova and Samba Jazz, as well as folkloric dance styles from the northeast of Brazil. In addition to playing their first instrument all participants will have the opportunity to learn Brazilian rhythms on native percussion instruments if they so choose. Adam Osmianski is an American drummer and percussionist currently residing in London. As a performer he has worked in concert halls, clubs and festivals in Brazil, China, Malaysia, Singapore, Taiwan, throughout Europe, and in the USA as both a leader and sideman in many diverse projects. As an clinician, Adam has presented workshops at the Universidade Federal de Pernambuco in Recife, Brazil, the Tianjin Conservatory of Music in Tianjin, China, Universiti Malaya, in Kuala Lumpur, Malaysia and Duquesne University in Pittsburgh, PA, amongst many others. He currently teaches at West Virginia University, USA and Junior Guildhall School of Music and Drama, London. Adam also enjoys writing and is a contributing columnist for Modern Drummer Magazine and the author of thatdrumblog.blogspot.com. He is looking forward to releasing an album of Brazilian music with his project Samba Azul at Pizza Express, Soho on April 7th this year. In November 2017, Joy released her debut album entitled ‘Life On Land’ on F-IRE records. The album reflects her passion for jazz and improvisation, her love of groove and dance music, her classical roots as a pianist and the soulful, poetic aspects of being a singer-songwriter.